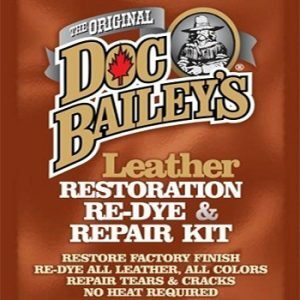 Repair and re-dye all of your black leather and vinyl with this leather care kit! Thanks to our special, air-dry formula, you can permanently repair rips, tears, and cracks in minutes. 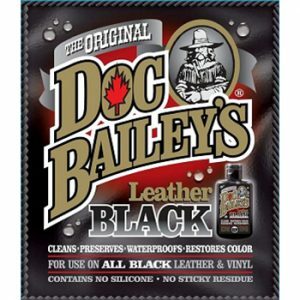 The Doc Bailey’s permanent urethane dye makes your black leather look as dark and rich as it did when it was brand new. Save your jackets, boots, and auto interior with this simple kit. This kit makes permanent repairs; use this and it will be like the damage and fading never occured. Looking at damaged leather is always disappointing. While the material is extremely strong, it isn’t invulnerable. Moisture, sunlight, and other factors can cause your black leather goods to fade, rip, or tear. Until now, damaged leather needed to be fixed by a professional or thrown away. 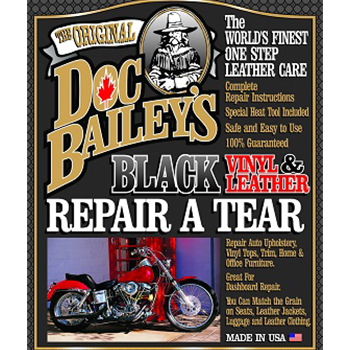 Thanks to the Doc Bailey’s Black Only Leather Restoration Re-Dye and Repair-A-Tear Kit gives you the tools and the know-how to fix all of your own vinyl and leather goods for a fraction of the cost! 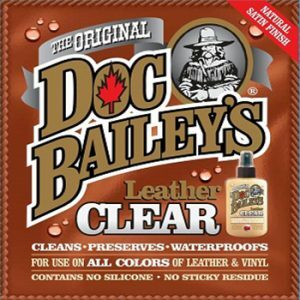 Pick up a kit now and restore your boots, jackets, and leather upholstery back to its original state. This kit includes bleed-free black dye, just like tanneries use, and black R3 compound. Thanks guys. Just what I was looking for!!!! Hi, My name is Dave and I was just looking at your website buydocbaileys.com and thought perhaps I would message you on your contact form to see if you need help. I really liked your website but noticed you weren’t getting a lot of traffic to your site and your Alexa ranking wasn’t as strong as it could be. 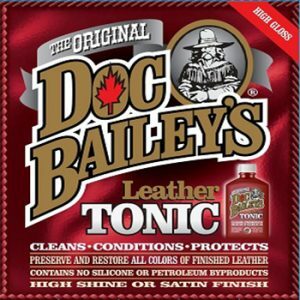 I can get 1,000’s of visitors looking at buydocbaileys.com, ready to buy your product, service or signup for your offer. Our advertising network of over 9000 websites provides a low cost and effective online marketing solution that actually works. We can help your business get more online quality traffic by advertising your business on websites that are targeted to your market. The internet is a vast entity and kick starting your online business doesn’t have to take a ridiculous amount of cash. We’ll send real people to see your web site starting almost immediately! Right now to make things really exciting you can get 200,000 Targeted visitors to you site in 30 days for only $199. If you’d like to talk personally please give me or Jim a call at 480-331-6775 9 to 5 MST USA.